Home » Online Exhibits » Penn People » Penn People A-Z » Milton Bennett Medary, Jr.
Milton Bennett Medary, Jr., was born in Philadelphia in 1874. After graduating from Central High School in 1890, he entered the University of Pennsylvania, leaving after one year. During the summer of 1891 Medary took a summer position in the architectural firm of Frank Miles Day; when classes started up again, he remained at the firm full time instead of returning to school. In 1893 trustee Charles C. Harrison announced a contest among students and alumni of Penn’s Architecture School to design Houston Hall as Penn’s student union, the first American building built for this purpose. Medary entered a design and won second place. His design and that of the first place winner William Charles Hays, B.S. in Arch. 1893, were combined, using Medary’s exterior. The two young men shared the thousand dollar prize and also worked as assistant architects when the architectural firm of Frank Miles Day constructed the building. 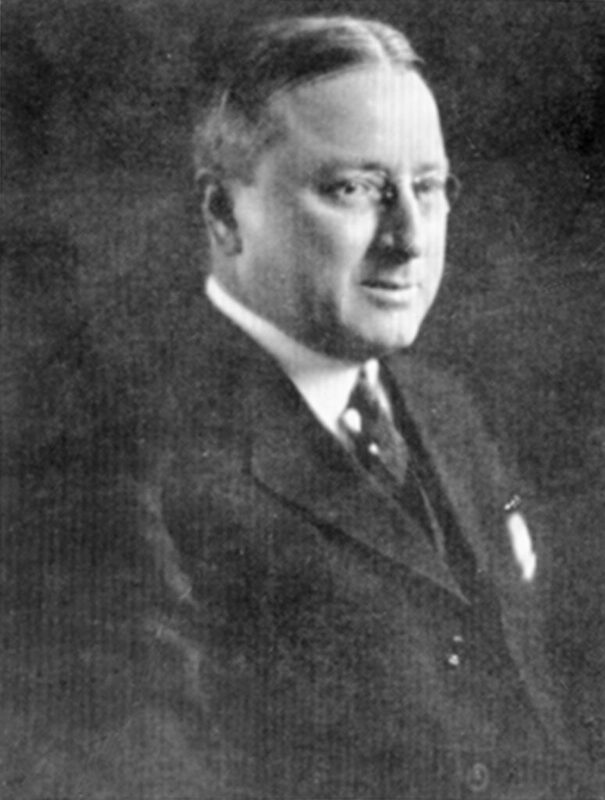 Medary established his own firm with Richard L. Field soon after and later with Clarence C. Zantzinger and Charles L. Borie, Jr. He remained a partner in the later firm until his death in 1929. Medary’s preference for Gothic and Georgian Revival is found in a number of collegiate and ecclesiastical buildings. The Washington Memorial Chapel at Valley Forge is one of Medary’s best known designs. During his career he served as president of the T-Square Club, the Philadelphia Chapter of the American Institute of Architects, and the American Institute of Architects. In 1927 he was given the honorary degree of Doctor of Fine Arts from the University of Pennsylvania.